Joyce Rosenwinkel, passed away on May 25, 2018, at St. Patrick’s Residence, Naperville, IL. Beloved wife of the late Henry; daughter of the late John and Marion Glazebrook. Loving sister of the late Joan (Andy) Blish, the late John (Teri) Glazebrook, and the late Jim Trimble. 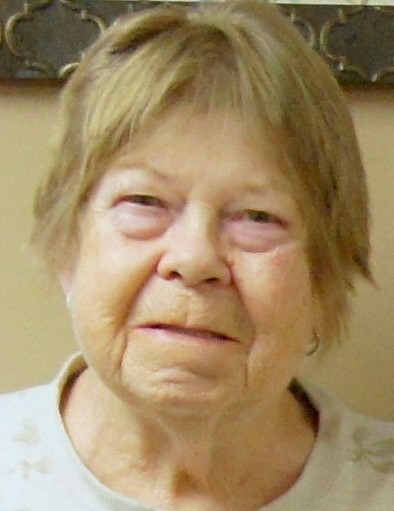 Dear aunt of the late Scott Blish and John Glazebrook. Proud mother of Todd (Susan) Rosenwinkel, Cheryl Rosenwinkel (Melody White), Brett (Nancy) Rosenwinkel, and Ryan Rosenwinkel(Sarah Brinsfield). Dearest Grandmother of Rebecca and Jessica Rosenwinkel, Phyllis, Corneld and Rashawn White, Christi and Jacob Rosenwinkel (Children of Ryan Rosenwinkel and Shara Schreiber) Fond sister in law of Gloria Rosenwinkel and Sally Trimble. Dear cousin to Cliff and Olinda Sperry. Fond aunt and great-aunt to many. Visitation Thursday, May 31 11 AM to 1 PM at St. Patrick’s Residence, 1400 Brookdale Rd. Naperville, IL 60563. In lieu of flowers, memorials appreciated to St. Patrick's Residence. Interment private.